Skilled Attorney in Columbus, Georgia. 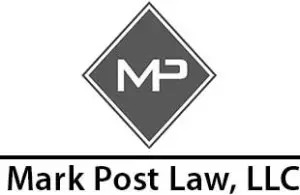 Mark Post Law, LLC, is based in Columbus, Georgia, providing legal services to clients in various cities and counties in Georgia as well as in Federal courts. Having over twenty-five years of litigation experience, Mark Post has earned a reputation as a skilled, thorough and compassionate attorney. Why Choose Mark C. Post? Mr. Post and his firm will extend personal attention to clients’ individual needs. We value our clients’ input and strive to return calls and e-mails promptly. We strongly believe that before success comes hard work. We familiarize ourselves with each issue as we consider them as our own. When necessary, Mr. Post works with experienced investigators and experts to assist us in providing you with the effective, quality legal representation you expect. Please call us now. We look forward to scheduling a meeting with you today! “The end of law is not to abolish or restrain, but to preserve and enlarge freedom; … where there is no law, there is no freedom.” John Locke, Two Treatises of Government, p. 234 (1689). DISCLAIMER: Any information contained in this website should not be construed as legal advice. Any transmission or inquiry via email or this website does not give rise to an attorney-client relationship between any sender/recipient and Mark Post Law LLC.